Barnes & Noble e-book aiming for Kindle? Could the Kindle be facing its first serious rival? A couple of weeks from now we should know if there's any truth to the rumours that book retailer Barnes & Noble has a Kindle-killing e-book reader up its sleeve. According to respectable sources in the mainstream media, B&N may announce the device on 20 October in New York with two features that will make it stand out from the pack. Firstly, the supposed e-book reader will run the Linux-based Android OS, making it a far more open platform than Amazon's Kindle and, therefore, more attractive to homebrew fans. Secondly, the unnamed device is supposed to have the Kindle-killing feature of being able to lend e-books to other owners of the same hardware. Whether that's to be over a 3G phone network such as the Kindle uses for downloads or by local Wi-Fi remains to be seen, but the prospect of a little old-school sharing is sure to appeal to many e-book holdouts. To date, B&N has said nothing about the device, although it seems believable, as the company already has 700,000 books online in digital form. 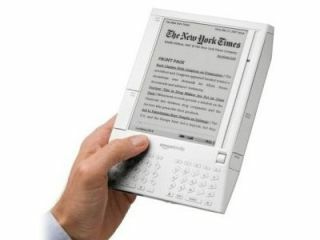 However, the already-announced deal to market the Plastic Logic e-reader next year obfuscates matters somewhat.